A quick background: I’m originally from Long Island, NY and now reside just outside of Boston, MA with my husband Mike (who you’ll read about from time to time- he’s my trusty taste tester), and our golden retriever, Jax (who also likes to taste test). My journey started in 2012 when I decided to make major lifestyle changes to achieve a healthier, and happier me. But really, my journey started as a child, with my love and serious infatuation with food. And I mean ALL types of food, and I wouldn’t say healthy. Seriously, you guys, I love food. In 2012 I slowly began to change my eating habits, began working out more regularly, and began learning more and more about health and nutrition. Prior to this, I was constantly frustrated with how I was feeling physically and mentally. I got sick all the time. My energy, my hair, my skin, and tons of unknown GI issues were all constant ailments. When I hit the point of my gut health getting in the way of daily activities, I knew I needed to do something about it. It took much trial and error to find a diet and lifestyle that works for me, and through these lifestyle changes, I can honestly say I have achieved a balanced, happy, and healthier life. Want to know more? Head to my FAQ page! I started Lexi’s Clean Kitchen in May 2013 and it has quickly gone from a hobby to a full-time job in a short two years. I announced in June 2015 that I have made the decision to leave my other passion (my teaching job), to dive into running Lexi’s Clean Kitchen full-time. You can read more about that here. I love creating recipes that you find success with in your own kitchen, and I love working on improving our healthy lifestyles, together. I decided to start blogging to share my clean, healthy, and allergy-friendly recipes to inspire others that living a healthy lifestyle can in fact be fun and exciting, and never has to be boring. I develop my recipes with the ultimate goal being to help others achieve a balanced lifestyle, full of whole foods and free of limitations! Recipes that are gluten-free, mostly dairy-free, paleo-friendly, refined sugar free, and soy-free. In addition, some are vegan and vegetarian as well. Many are under 30-minutes to make, and all use simple ingredients that you are likely to already have in your home. If you are new here, I recommend heading over to the recipe index, where you can find all of my recipes categorized in one easy place! Recipes are labeled with easy-to-navigate food labels at the top of each page for your convenience. Under Blog, you’ll find tons of other fun stuff, like travel posts, my popular infographics, life posts, blogging resources (like how to start a blog), and more! I hope you stay a while! 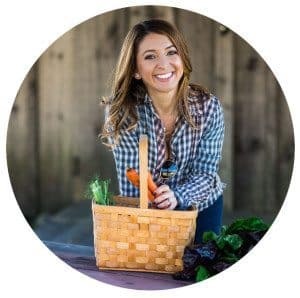 While applying the invaluable principles of gluten-free and Paleo lifestyles, Lexi’s Clean Kitchen takes a practical approach to clean eating that won’t deprive you of your favorite foods. This cookbook transcends dietary labels – it is for everyone who loves preparing delectable meals that satisfy every palate and every craving. Read more about the cookbook here!